Creating my everyday: Lots of fun AMM stuff going on! Lots of fun AMM stuff going on! 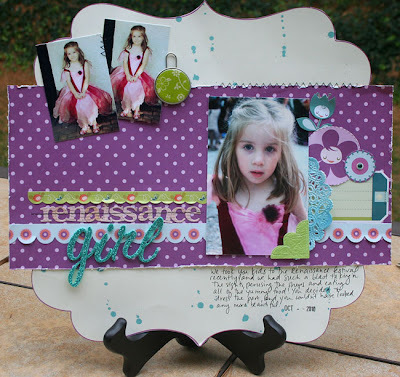 First, I have my layout to share for our monthly DT inspiration over at AMM. I love participating in these, and this month's layout that we were inspired by was so much fun! This is my layout, and you can check out the original and the other DT layouts here. Next, the November kit is ready, and it is goooorgeous! I'm so excited for this to arrive on my doorstep! You can find out more here. adorrrabllleeee! tfs and hope you are doing well! What a fabulous layout! I love it!!! Ooooh! Great LO! Who makes the script letters?? what a gorgeous princess Chloe is here ! & pixielicious too ! Oh Miss Chloe is such a cutie....I just adore this LO!!!! Wishing you a wonderful weekend filled with making memories!!! i can't wait for halloween pics!! *grins* that layout is gorgeous btw.. i don't know how to scrap purple! She is just so cute!!! I can't get over how grown up Chloe is getting!!!! Love the layout, Beautiful work!!! What a gorgeous, gorgeous layout, Staci! 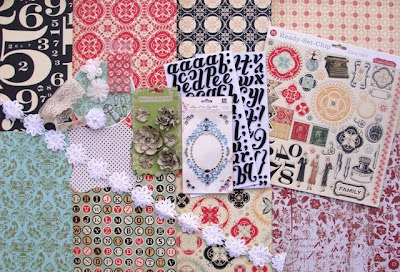 So love how you used the die cut with the wide band of patterned paper. Really eye catching and beautiful. Great photo placement, too. Great page! I like the shaping! Oh I love this!!! I always have trouble photographing shaped layouts, this looks awesome! Book giveaway and picture overload!